Leslie McGaha wanted to try out her new bass kayak on Sam Rayburn Lake. Shortly after she got on the water, she had company–an otter! So it was about 9:30 in the morning and I paddled across a branch of the lake, and I was hot. And so I saw a shady spot and figured I would go ahead and park there and see what I could see. And it was amazing: I saw a giant black crawdad crawling out of the bank; I was listening to the fish noises and the birds; the gar. Then, all of a sudden there was this bright flash of silver off to my right and I thought it was a gar or a carp. I keep watching, and then I see this head pop up out of the lily pads and look straight at me. And it wasn’t very happy that I was there, and he let me know. He made this sound like [makes hissing sound] And I didn’t know what it was. And he went back down after he told me his displeasure and then he comes back up and he makes this noise at me again [makes noise]. So, I decided I wanted to play the game, too, and I hissed right back at him [hisses]. And then he stopped for a second and looks straight at me and he and he starts hissing, kind of like he’s yelling at me. So I hissed back. So we have a pretty good conversation for a few minutes, and he pops down again, pops back up, and we start the whole thing over again two or three times before he goes on his merry way a little bit farther up the creek channel. It was just the funniest thing that had ever happened to me; it was amazing. Share your Texas outdoor story with us; just go passportotexas.org, and click on Outdoor Stories. That’s our show—funded in part by Ram Trucks. Guts. Glory. Ram. 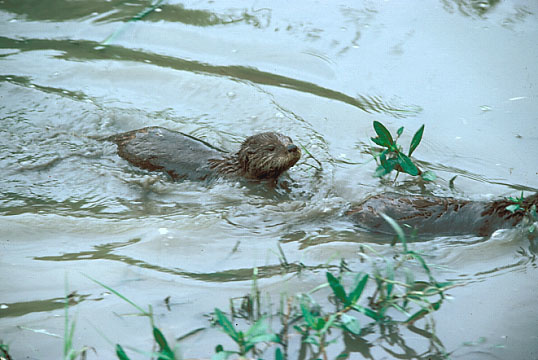 Wildlife biologist Gary Calkins could not have predicted eight years ago—when he invited radio listeners to send in their otter sightings—that it would change how we understand otter distribution in Texas, or that the sightings would continue coming in. He created a map using the data listeners supplied, and is confident it’s accurate. Every sighting I get, I ask them [the public] I ask them to describe how the animal swam. Ask them if it made any vocalizations. Ask some questions about behavior—and better yet—can I get pictures or something. The only time I will count an animal to put it on this map, is if I am beyond a shadow doubt that it is an otter—based on vocalizations and the way it swam. I feel pretty comfortable that that map is representing otters and not mistaken identity. If it’s something that I can’t wrap my head around, that ‘yeah, it’s an otter,’ then I won’t put it on the map. I’ll tell the people to keep looking and thank you. One of the things that I’ve done is that out of all the emails that I’ve receive, I’ve made myself respond to every single one of them. So that people aren’t sending something to a black hole; and I think that’s why it’s kept momentum on sightings. Gary Calkins welcomes your otter sightings. Find out how submit them at passporttotexas.org. NOTE: Since producing this program, Gary Calkins has retired from Texas Parks and Wildlife. If you have an otter sighting, send your information HERE, and I will make sure it gets the the right person. Eight years ago when wildlife biologist Gary Calkins was conducting statewide otter surveys, we talked about it on our radio show; he invited listeners to send in their sightings. Really, when we started this thing, I sort of assumed that otters were pretty well just East Texas-centric, maybe in the Neches…Sabine River…Red River. That type of thing. But, man, the population that’s in the Colorado River is way more than I had expected and a lot farther up the Colorado River than I ever expected, and then a lot farther up the Red [River] than I ever expected. [There are] just a lot more in general than I really thought there were out there just based on the number of people reporting stuff. Because of you, we know there’s greater distribution of otters throughout Texas than previously thought. These mammals are surprisingly common in urban areas, such as Austin in Travis County and Houston in Harris County. Obviously, I think there are just more people out there are seeing them and reporting them. But those two counties—you’ve got Ladybird Lake, and all the different structures in the Colorado River. And then the thing with all the bayous that run through Houston, and so there’re a lot of otters using that because it has been a created, perfect habitat. 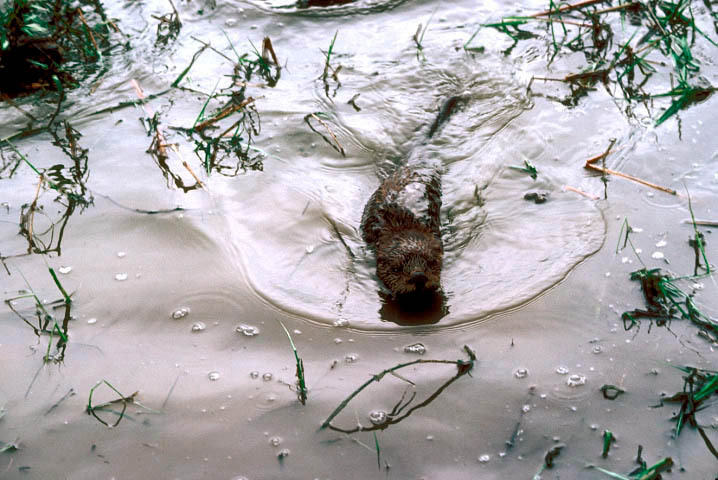 Gary Calkins welcomes all public otter sightings in Texas, ideally with photos. Find out how to get in touch at passporttotexas.org. You are currently browsing the archives for the otters category.